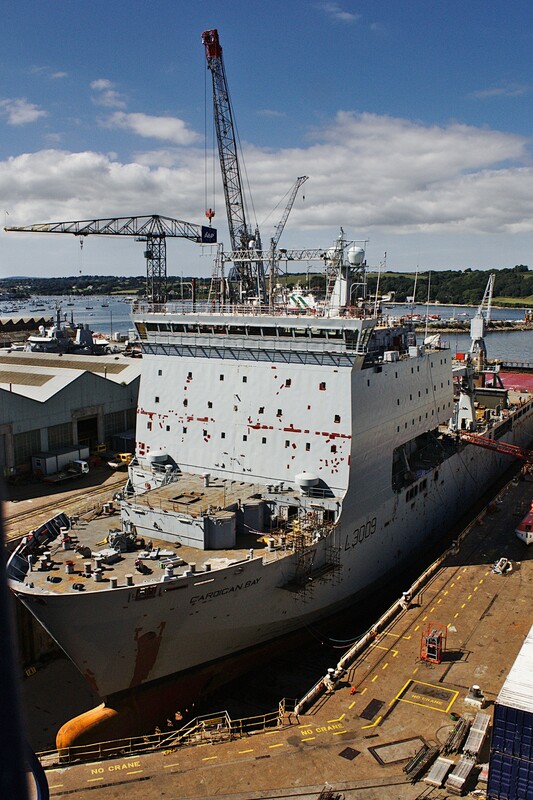 The 16,000 ton Bay-class landing ship dock RFA Cardigan Bay looks like a tiny, and very tatty, toy in dry dock at the business end of Falmouth. looks like it is covered in lots of little plasters! blue for food, red for war? Makes sense I suppose.